After much drama surrounding its Japanese release, Sega has revealed Yakuza spin-off Judgment will still launch in the west – albeit with some changes. 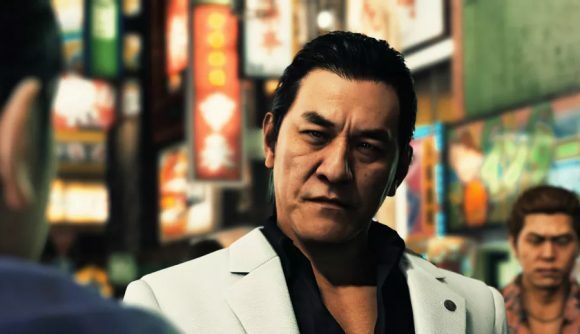 After his arrest for suspected cocaine use, voice actor Pierre Taki will be completely removed from the game and the visuals of his character, Kyohei Hamura, adjusted. After Taki’s arrest, Sega halted sales of Judgment and began to scrub all material featuring Taki from its Japanese Twitter account. The company declared its intention is to wait for all the facts to emerge. Those familiar with Japan may know it has some of the strictest drug laws in the world. A similar situation arose with Yakuza 4 when Sega recast the main character. It’s not an unprecedented move, but western fans now know the extent of the damage. The news of the rework comes directly from Sega’s western Twitter account. In it, the publisher sticks to Judgment’s worldwide release (though sadly, not on PC – yet) of June 25, 2019. There’s no delay, then, but the quality of the modifications remain to be seen. Sega says it will remove photos and videos of Hamura across all channels, not just in Japan. Judgment saw its Japanese release on December 13, 2018. The title diverges from the main series by introducing a legal thriller style. Though it borrows the combat system and locations of the Yakuza series, gameplay focuses on investigation and a wildly different story. Taki’s character, Kyohei Hamura, is not the lead, but captain of the Matsugane crime family. As such, it’s unlikely the experience of western audiences will be greatly affected by recast. Sega is yet to publish details on Takki’s replacement voice actor, though it’s possible information will surface closer to release. Jugdment is currently slated for launch on PS4 only. However, with much of the main Yakuza series making its way to PC, a release is still within the realms of possibility. Either way, it highlights the potential impact of Japanese culture on western releases.